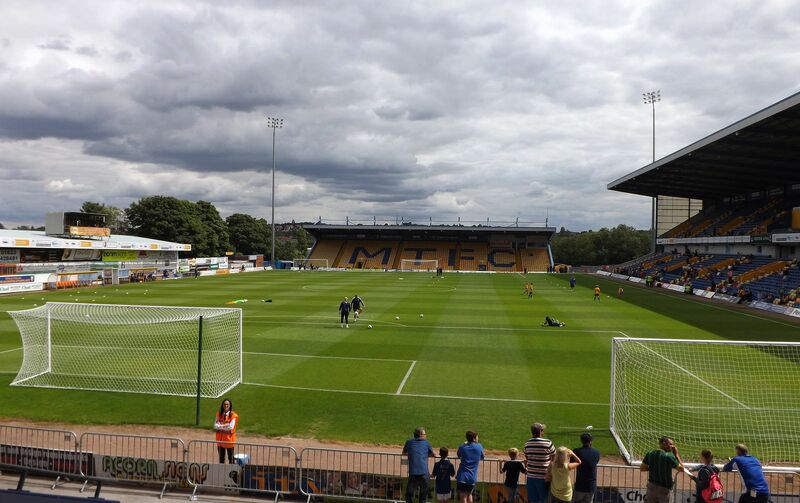 Considered the oldest functioning stadium of England's professional league system, Mansfield's Field Mill has been in use since at least 1861, perhaps even longer. 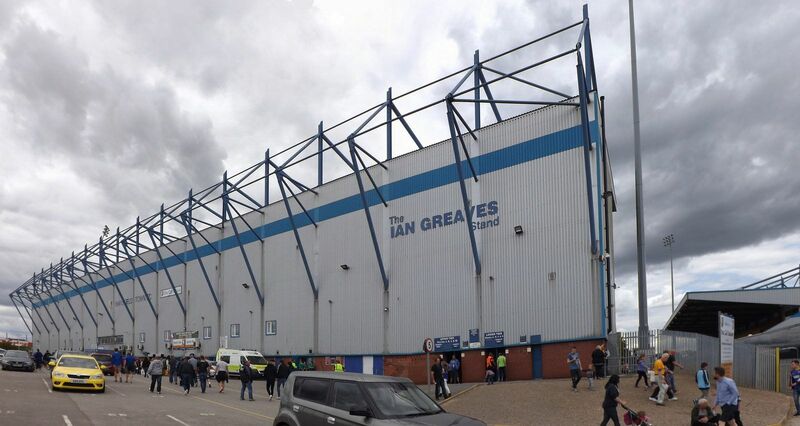 Its name is owed to a large mill which used to stand just south of the field until its demolition in 1925. For the first half a century it served primarily for cricket and football players were not even allowed to the dressing rooms. This began shifting as the 20th century came along with shift towards football-only use. 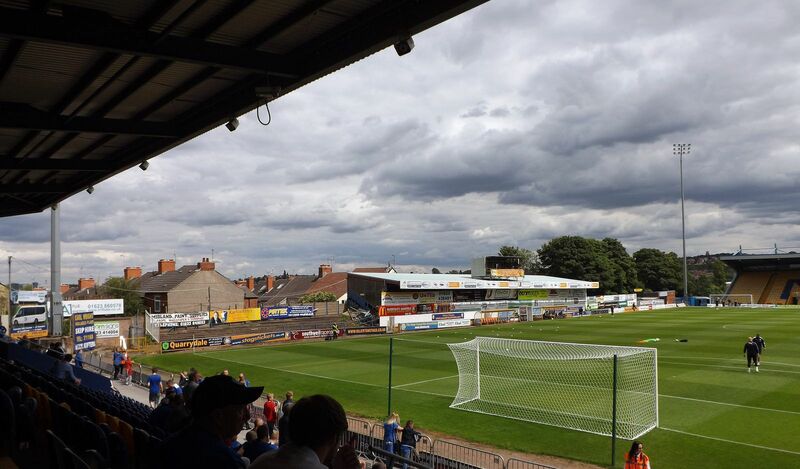 Although there were episodes of rugby or greyhound racing, the stadium's main purpose hasn't changed since. Even its first concert as late as 2010 has proven the single only one to date. First grandstand was built along the west side in 1922, while remaining stands were raised with coal ash brought from nearby mines. In 1929 a modest roof/shed was erected in the east, but a much more symbolic event happened the following year. 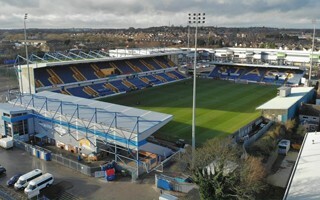 On February 22, 1930 the stadium became England's first to host a competetive game under floodlights. And even though such practices were then sceapped for two decades, the event enjoyed nationwide interest, with representatives of major teams and even Wembley in attendance. 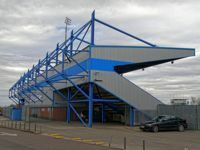 In 1957 the supporters club funded a new north end, later adding an even greater effort in early 1960s, when fans bought a stand from the defunct Hurst Park racecourse. Both of these survived until late 1990s, when post-Taylor reconstruction began. 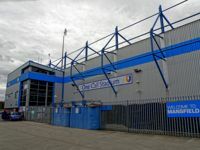 During the 1999-2001 period the stadium changed its image entirely. 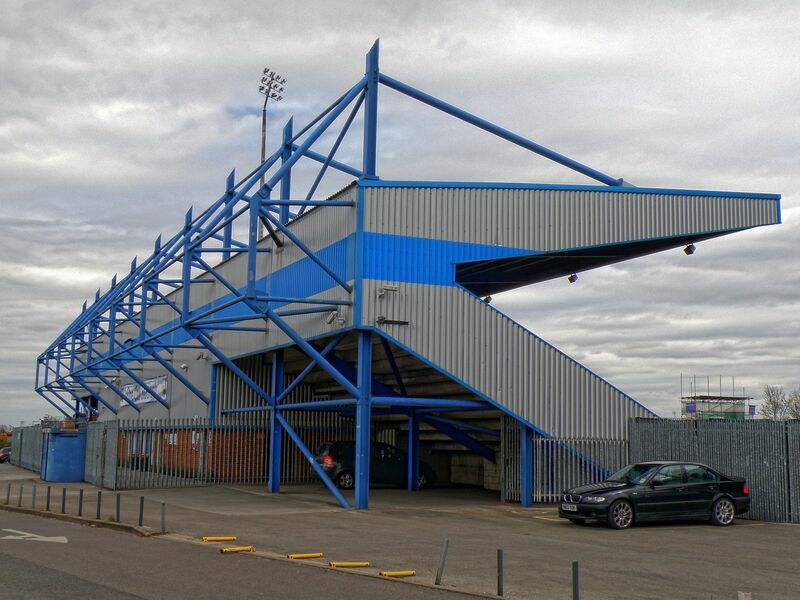 Three new stands were built, two behind goals and the most impressive, double-tiered one along the west side. 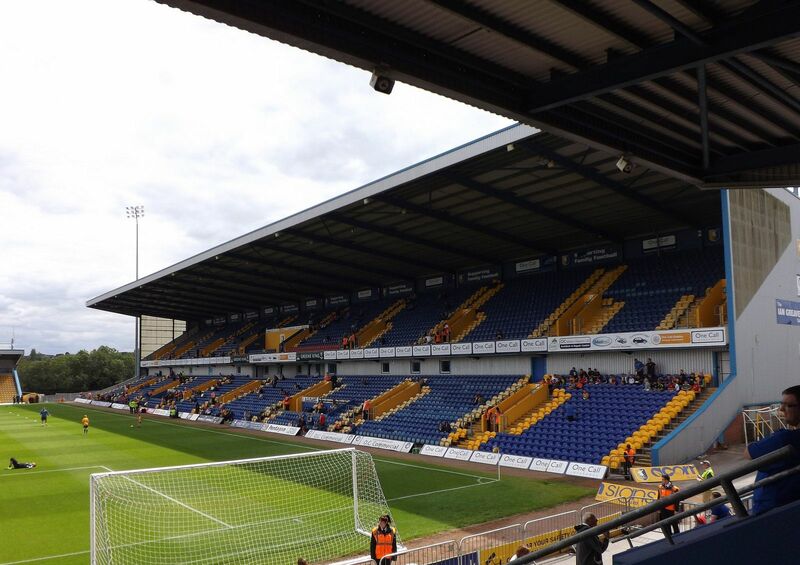 After 7 years of regular payments One Call Stadium, home to Mansfield Town, is officially owned by the team's new owners John and Carolyn Radford. This enables improvements in the future. 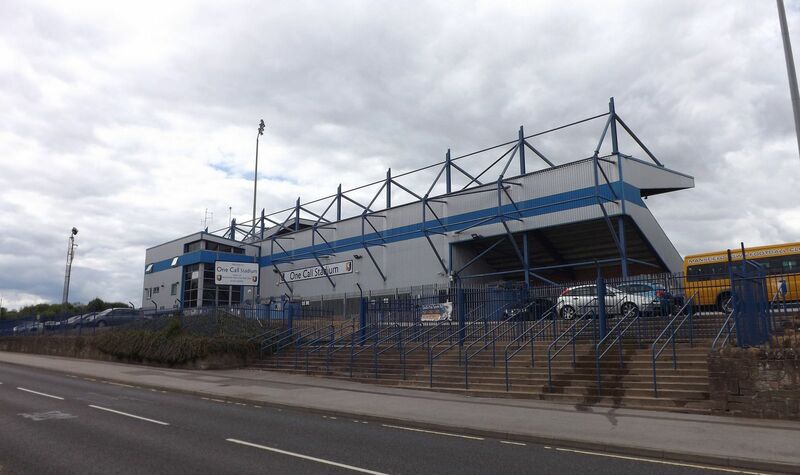 19.10.2017 England: Hotel at Mansfield stadium still possible? While we only found out about the plan now, it's already quite uncertain. 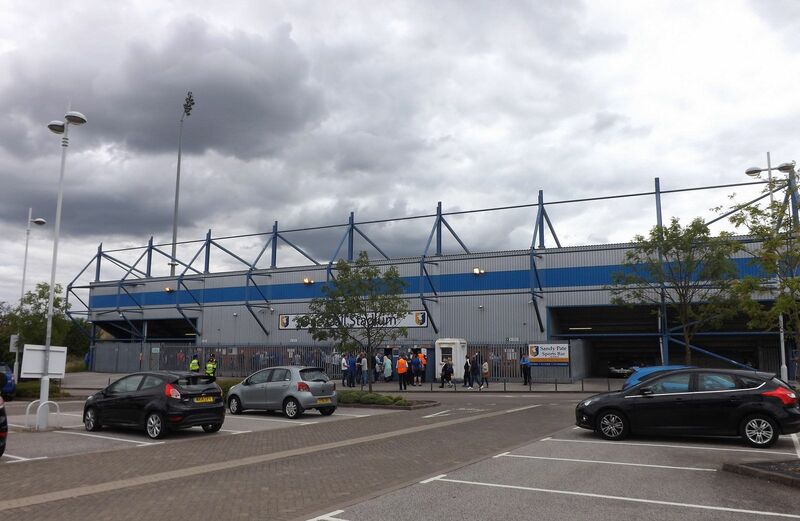 But the hotel at Mansfield Town stadium might still happen, if local councillor is to be believed. 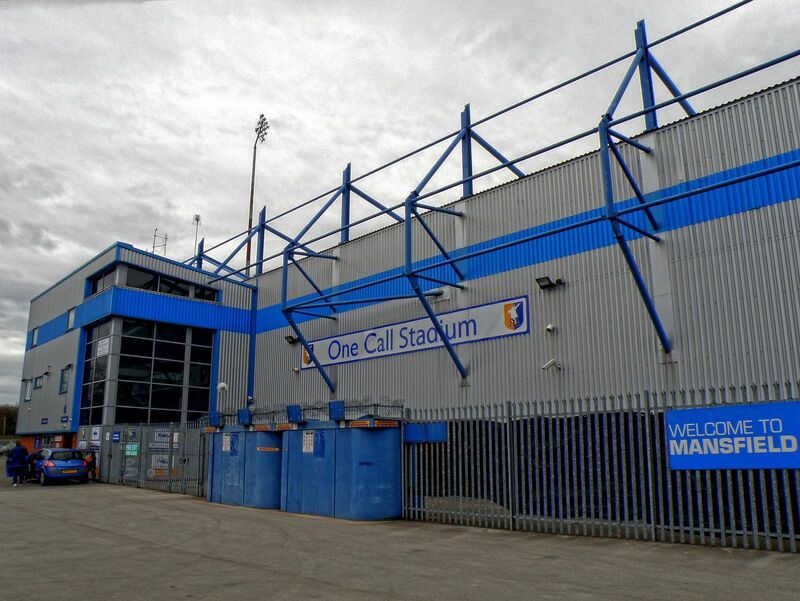 Please welcome these three latest stadiums in our database, hardly believable we could have missed them for so long. 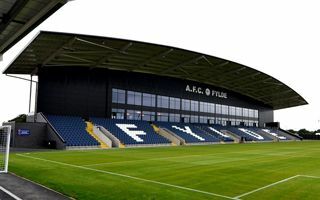 The historical venues from Exeter and Mansfield, plus the fresh ground of AFC Fylde!